For $7.25CAD, I went with a Breakfast Combination A+B. The "A" menu was pretty much a list of two eggs (poached or sunny side up) with a choice of tomato, sausage, bacon, ham or luncheon meat. Toast and a cup of hot/cold drink were also included in the combo. I had the simple Bacon and Eggs 煙肉煎雙蛋 but requested to have over hard pan-fried eggs. The eggs were lukewarm. 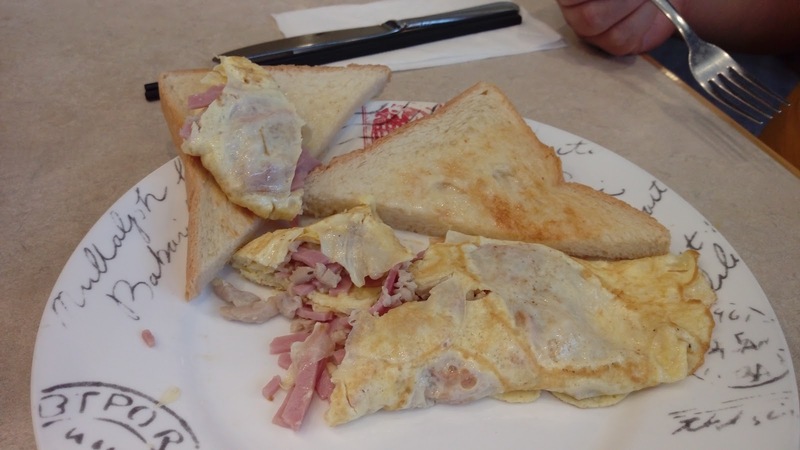 The bacon strips were not crispy, which is quite typical in HK-style cafes. The buttered toast was cut into two-half triangles. 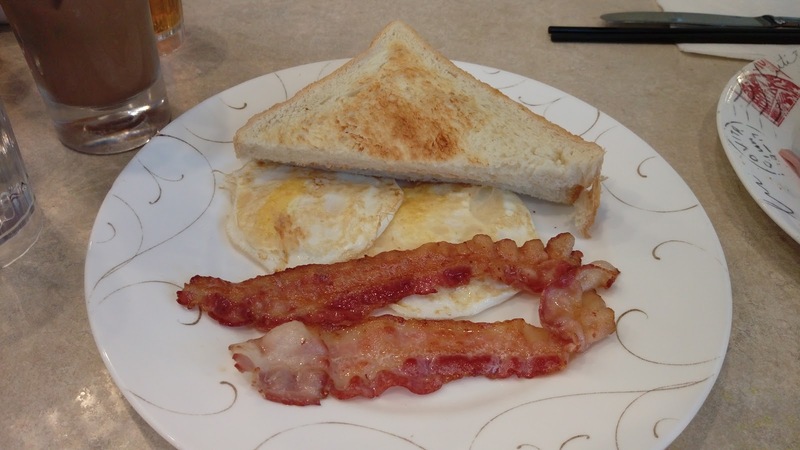 This was a simple cafe-style breakfast, nothing fancy. The "B" menu was a list of different types of soup noodles. I had the Chili Preserved Vegetable & Shredded Pork Vermicelli in Soup 榨菜肉絲湯米 This was a sizable portion, pretty much doubled in size in comparison to the shallow bowl I had approximately two weeks ago at BT Cafe 大拇指餐廳. The bowl had a generous amount of shredded pork with sufficient amount of preserved vegetables. 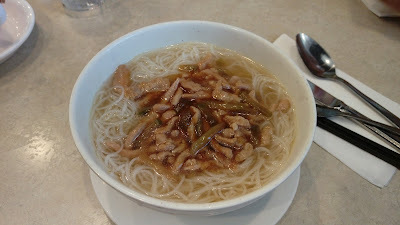 The soup base was a light pork broth with MSG. The rice noodles were al-dente. Buddha Boy also ordered two items for breakfast but not as a combination. 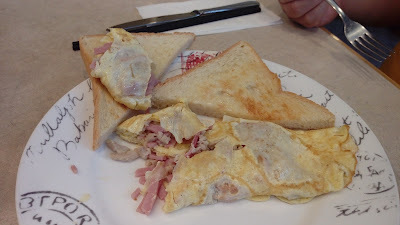 The first was the Ham & Shredded Chicken Omelette 火腿雞絲奄列. Buddha Boy was happy because there was ample amount of meat in the omelette. The plate also had a buttered toast. 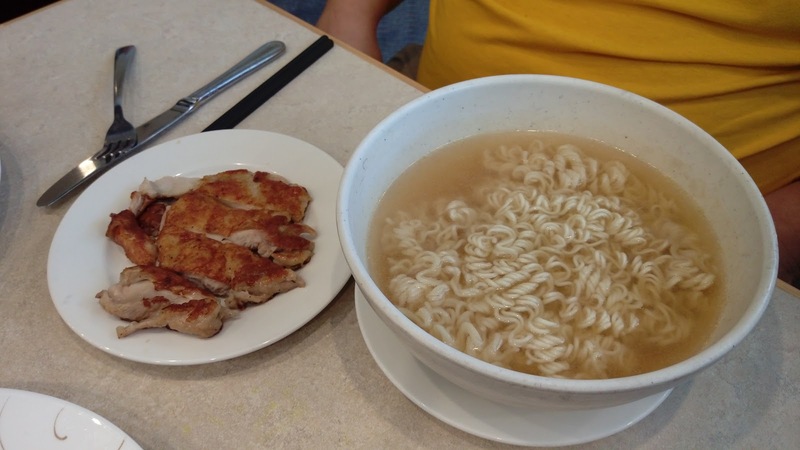 Buddha Boy's second breakfast item was the Instant Noodles with Chicken Steak 香煎雞扒公仔麵. Buddha Boy was a bit disappointed that the overcooked noodles were not the Nissan 出前一丁 brand. The soup base was similar to my bowl of soup noodles. The boneless chicken thigh was tender but not moist. 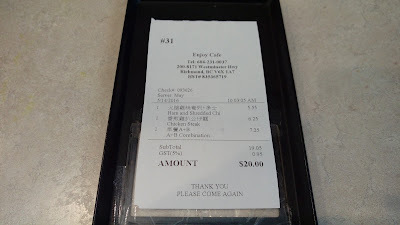 Our meal had three accompanied drinks, two for Buddha Boy and one for me. 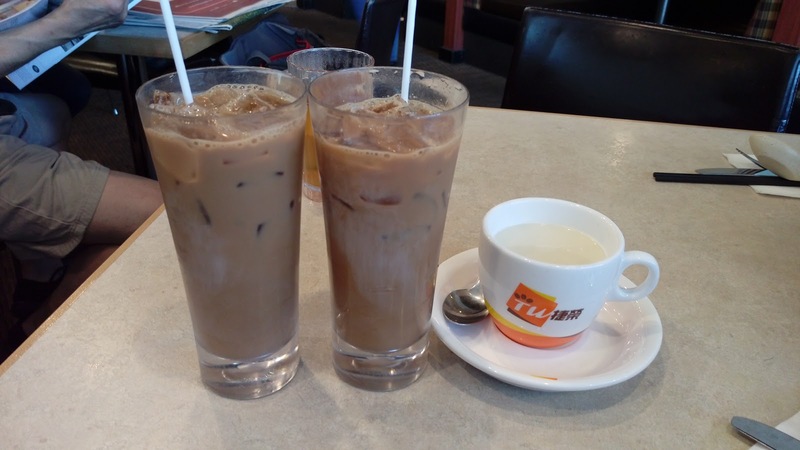 Buddha Boy ordered two glasses of cold HK Style Mixed Coffee & Milk Tea 港式鴛鴦 while I went with a cup of hot Horlicks 好立克. The drinks here were pretty balanced and solid. While lacking smiles, service was prompt and courteous when requested. 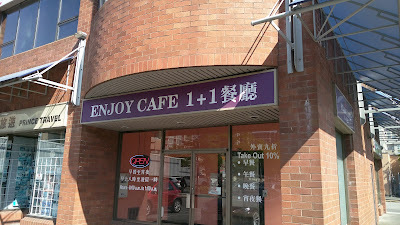 The food was comforting but nothing spectacular. With its long operating hours and reasonable prices, this place is ideal for early risers, late sleepers and budget-conscious diners.